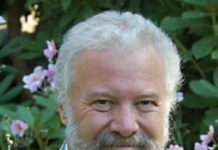 NDP National Parks Critic Wayne Stetski (Kootenay – Columbia) has sent a letter to Environment Minister Catherine McKenna calling on the federal government to reject a proposal for the Never Forgotten National Memorial, also known as Mother Canada. The proposal, which was backed by the former Conservative government, would see a giant statue erected at the headlands of Green Cove in Cape Breton Highlands National Park, along with a parking lot and visitor’s centre. In addition to a number of civil society groups, the Mother Canada proposal was, Stetski said, opposed by a group of 28 former senior Parks Canada managers, including a former Parks Canada CEO who sent an open letter to a former environment minister that raised concerns about the proposal’s impact on Cape Breton Highlands National Park. New Democrats are calling on the government to scrap the current proposal and open thorough public consultation on possible locations for the memorial.